About halfway up the West Coast of Florida, jutting into the mouth of Tampa Bay, is Anna Maria Island. 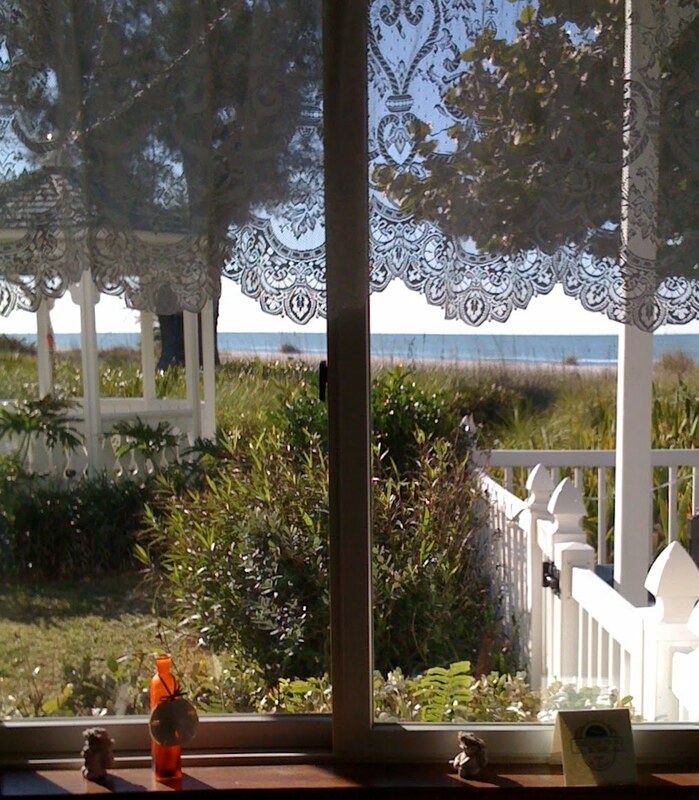 Having the unique distinction of offering both beautiful gulf and bay views Anna Maria is among Florida's most prized islands. It is island charm at its very best without the swarm of hair braiding offers and excursion vendors at every corner. For such a popular destination Anna Maria Island claims no high rises, no hotel chains, no glitz and for that this quiet community offers no excuses and no explanations. It simply escaped the trappings yet there's plenty to do here. Fishing, boating, swimming and shell hunting are among its top activities and there's an array of dining opportunities with some rather impressive cuisine. From the rustic eatery on the end of the historic 1910 pier to the elegant Waterfront Restaurant (bottom right) the food is fresh and delightful. I think the seafood gumbo (pictured above) at The City Pier Restaurant rivals any I've had in New Orleans and the Ahi Tuna Sliders at the Waterfront Restaurant were ohhh! so delicious. Late in the afternoon I recommend planting yourself beachside at the Sandbar where you can indulge in their margaritas and loose yourself in the sounds of the nearby waves. Here in Anna Maria you won't be faced with the difficult choice of which hot clubs to hit. In fact the only dilemma you'll face is which beach bungalow, cottage, or B and B to choose. There's something for everyone. To punctuate my previous Gulf Island post (January) here Versace takes a back seat to Sherwin Williams and the closest you'll come to glitz is an impressive array of lodging choices who's owners clearly pride themselves on color choices and decorative adornments. My stay began at the Sandbar and ended at the charming Harrington House Bed and Breakfast (below-left). When they say breakfast at the Harrington House it's homemade waffles, whipped cream, fresh berries and fresh squeezed juice. Seconds, anyone? Mmmm! I can assure you when you leave this coast you won't want to shake the sand from your shoes but rather take it with you. Whether you're here for romance, quiet reflection or family fun the beauty of this area will win you over year after year after year. I'm pretty sure that's what happen to the now permanent residence. … Unbelievable , but I just found software which can do all hard work promoting your blog.travelvision.com website on complete autopilot - building backlinks and getting your website on top of Google and other search engines 1st pages, so your site finally can get laser targeted qualified traffic, and so you can get lot more visitors for your website.